On October 26, 1944 WASP pilot Gertrude (Tommy) V. Tompkins Silver took off from Mines Field (LAX) in a North American P-51D and was never seen again. An eye-witness had seen three P-51s take off close together, including hers, and had seen only two come back over the field. 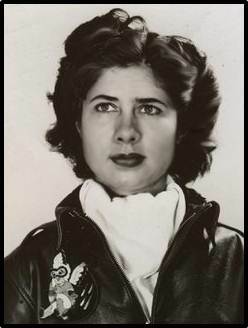 There have been several searches for Tommy Tompkins and her P-51. First in 1944, again in 2009, and again in 2012. These searches failed to locate any P-51 wreckage but did find other aircraft wreckage. AIR has assembled a team consisting of volunteers from eTrac Engineering, Scripps Institution of Oceanography, The US Navy, R2Sonic, and Hypack. This team brings a never before available collection of expertise, technology and passion to continue the search for Tommy Tompkins. State of the art multibeam sidescan SONAR, computer software for the collection, modeling and analysis of the data, a SONAR and photo equipped unmanned underwater vehicle (UUV), and the most capable dive team in the world. We’re hoping to launch in the fall of 2013. More to come! Are there any update on this case? Not yet but we are still working on it. Hoping to get on site this summer but that is not for sure yet.